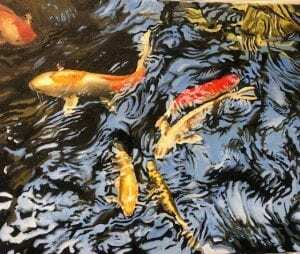 Here is a very lifelike representation of koi fish swimming in a pond. Brought to us by Mary Hills Powell, she has expertly captured the swirling movement not just of the fish, but also of the water. Oil paints are responsible for the brightly pigmented colors. This coupled with the phenomenal composition makes this piece a recurring favorite for our gallery visitors. When viewed in person, it almost seems as is the fish are ready to jump out of the painting. Come see us in the Ross Gallery to fully appreciate Mary’s work. You may have heard it said that drawing is the foundation of art. Many artists will say that they never truly see something until they take the time to draw it. 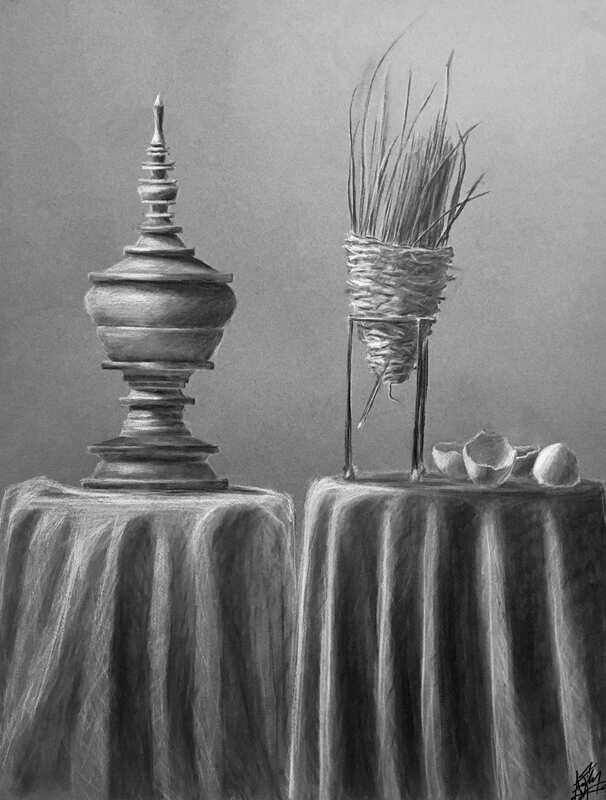 We have two drawings by Alex Stamouli hanging in the gallery. One is a charcoal drawing and the other is done in pen and ink. 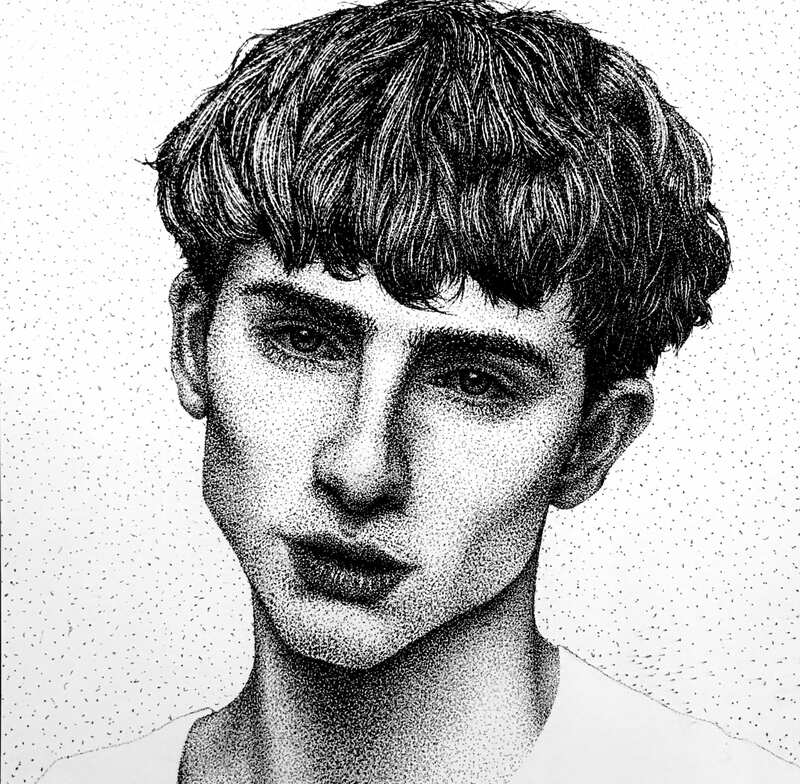 When viewed in person, the lines and contours really stand out. 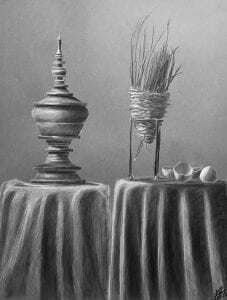 Both are beautifully done, classic examples of the art of drawing. 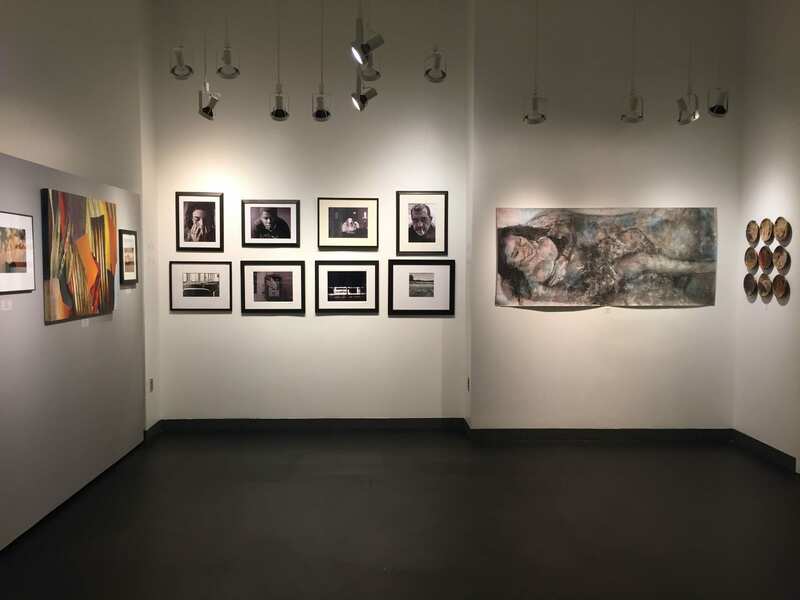 If you have visited the Ross Gallery lately, you may have been impressed with the significant number of photography on display this year for the Annual Juried Student Art Show. This photograph “Hairland” by photographer Chris Carelock draws nearly every visitor’s eye sooner or later. 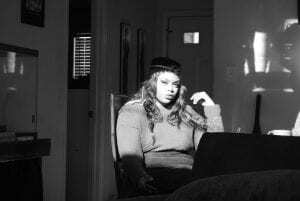 Described as a “random moment” by Chris, he managed to capture contrast of light and shadows, perfectly illuminating the lovely young woman in the photograph. As big believers that art is best viewed in person, be sure to stop by and see Chris’s photography and other works done by our talented student artists! Hedgehogs and Blue birds are a delight to the eye for most people lucky enough to sight them in nature. Fortunately, for us at the Gallery, we get to see these charming little critters everyday when we come into work . Currently on display now in the Ross Gallery are “Hedgie in a Tree” and “Bird’s Nest” created here on Central Campus by the talented Erin Vice. Be sure to stop by and check out her work as well as the work of other talented student artists! We hope your calendar is clear tomorrow for all the amazing Sensoria programming we have planned! 11 a.m. in Tate Hall, poet and essayist Hanif Abdurraqib will present poetry and prose, including work from his new chronicle Go Ahead in the Rain: Notes to A Tribe Called Quest. 12:30 p.m. in Tate Hall, Interdisciplinary artist Andrea Vail will present her artist lecture about Bridging, her collaborative, multi-campus textile work, created with CPCC student-sourced imagery and installed in Overcash Lobby. 5:30 p.m. in Tate Hall, we will host the awards presentation ceremony for CPCC’s Annual Juried Student Art Show, which recognizes outstanding student works in painting, photography, drawing, ceramics, jewelry, and sculpture. Awards will include first, second, and third place prizes, Arzberger Purchase Awards, Presidential Purchase Award, Foundation Purchase Award, John White Photo Award, Central Campus Purchase Awards, and the Kappy McClenahan Drawing Award. 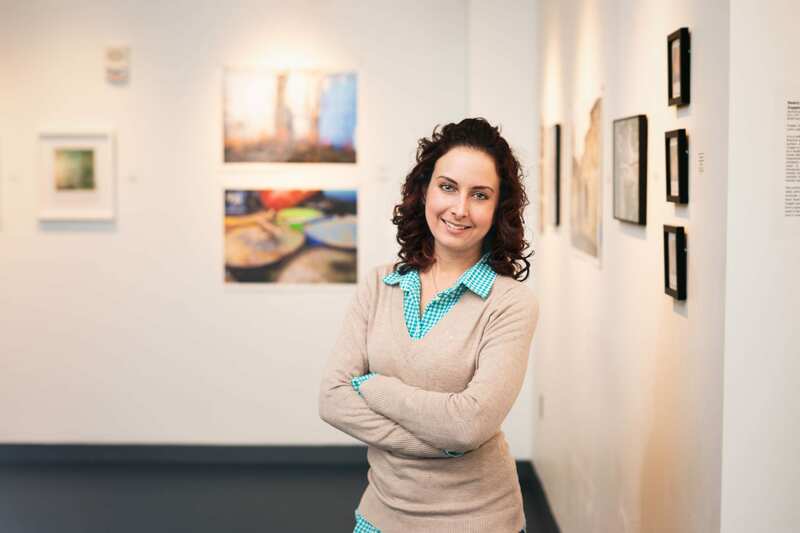 7:00 p.m. in Overcash lobby, we will have a joint reception for both Andrea Vail’s piece Bridging, and the 2019 Annual Juried Student Art Show. Please join us for light refreshments as we celebrate the wonderful art on campus! 7:30 p.m. leaving from Overcash Lobby, we will have studio tours to help the public get acquainted with the facilities we have to offer students. Tours will go through the art wing of Overcash Building and on to the AU Building. 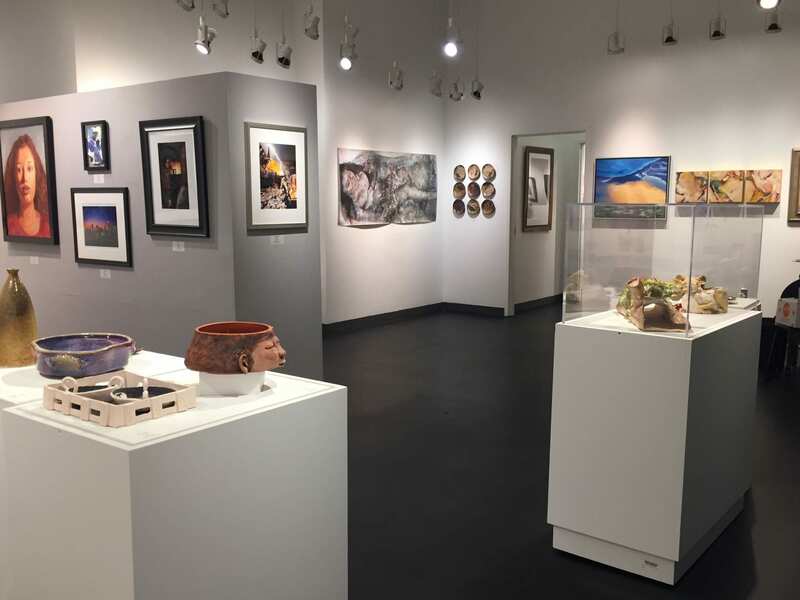 Visitors will get the opportunity to see the painting, drawing, design, ceramics, photography, sculpture, printmaking, and jewelry studios and see where the amazing work in the student show was made! Our very own, Amelia Zytka being recognized for her amazing accomplishments here at CP! Andrea Vail’s artist lecture at 12:30 p.m. on Thursday, April 11th in Tate Hall, 2nd floor Overcash Building, Central Campus. Come hear from Vail on her artistic practice and her project in collaboration with CPCC students, Bridging. Bridging on view in Overcash Lobby through May 2nd. 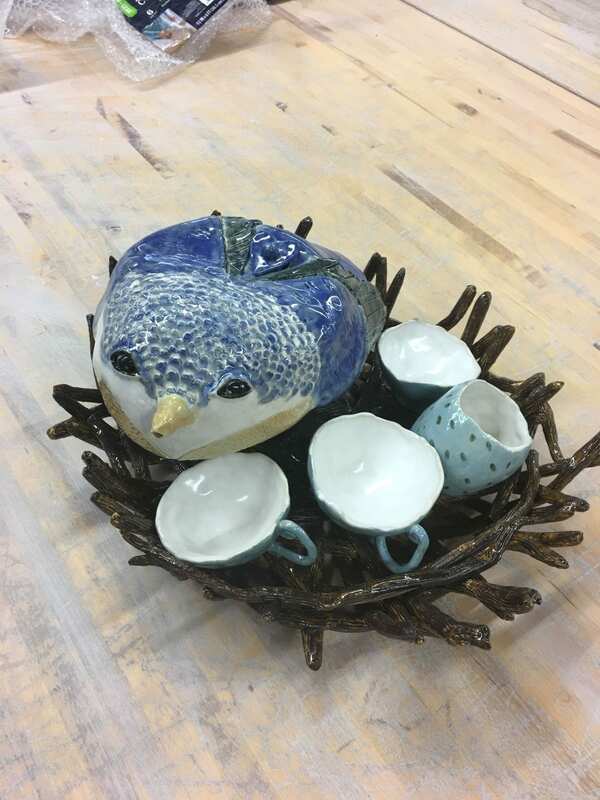 2019 Annual Juried Student Art Show Awards Ceremony at 5:30 p.m. on Thursday, April 11th in Tate Hall, 2nd floor Overcash Building, Central Campus. Reception to follow in Overcash Lobby. 2019 Annual Juried Student Art Show on view in Ross Gallery through June 3rd. Charlotte Magazine always showing some love during Sensoria!! Not only is CPCC one of the Carolinas largest community colleges, but the diversity that encompasses each of the six campuses is unmistakable. “Bridging,” Vail’s “collaborative, multi-campus textile work,” serves as an illustration of the community college’s varying demographics. Some of Vail’s other projects include “Signaling Hello,” an initiative that aims to communicate sincere encounters with pedestrians; and “DancePartyPotty,” an installation at the McColl Center in response to the 2017 “HB2” law. Vail received her MFA from Virginia Commonwealth University. 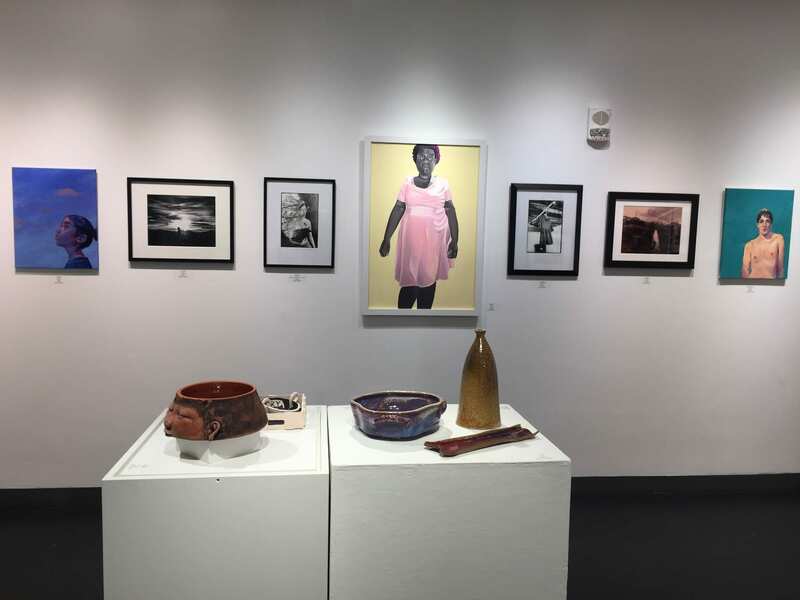 And we can’t forget the remarkable 2019 Annual Juried Student Art Show! Juried by professional artist and Northwest School Of The Arts, Byran Wilson. 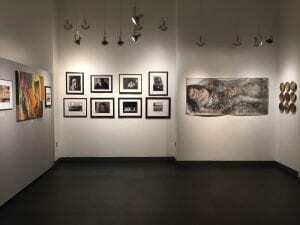 On view through June 3rd in Ross Gallery, Overcash Building, Central Campus! JOIN US FOR THE SHARED OPENING WITH ANDREA VAIL AND OUR CPCC VISUAL ARTS STUDENTS APRIL 11 AT 7:00 P.M. IN OVERCASH LOBBY. 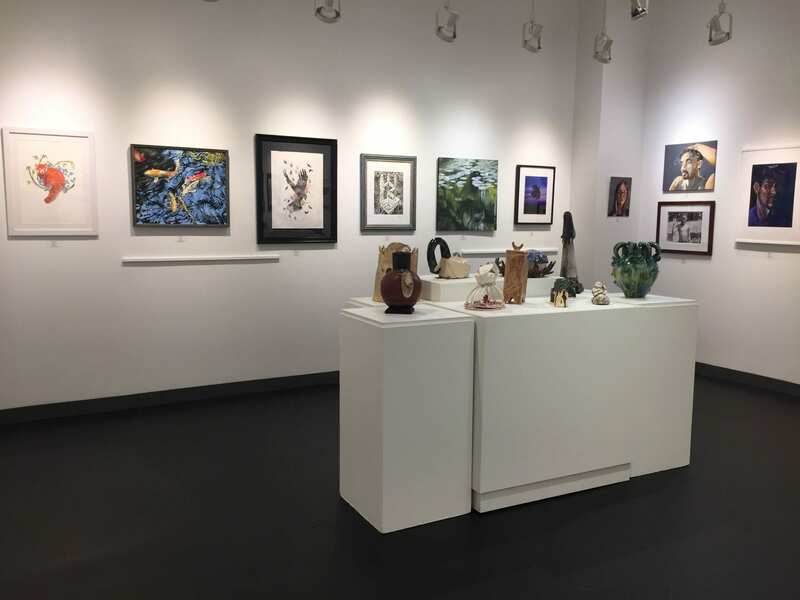 Ross Gallery Presents: The 2019 Annual Juried Student Art Show! 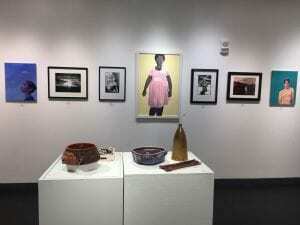 We are so excited to welcome the work of students from CPCC’s Visual Arts department to the walls of Ross Gallery! 90 pieces were hand selected by this year’s juror Bryan Wilson, professional artist and art instructor at Northwest School of the Arts. 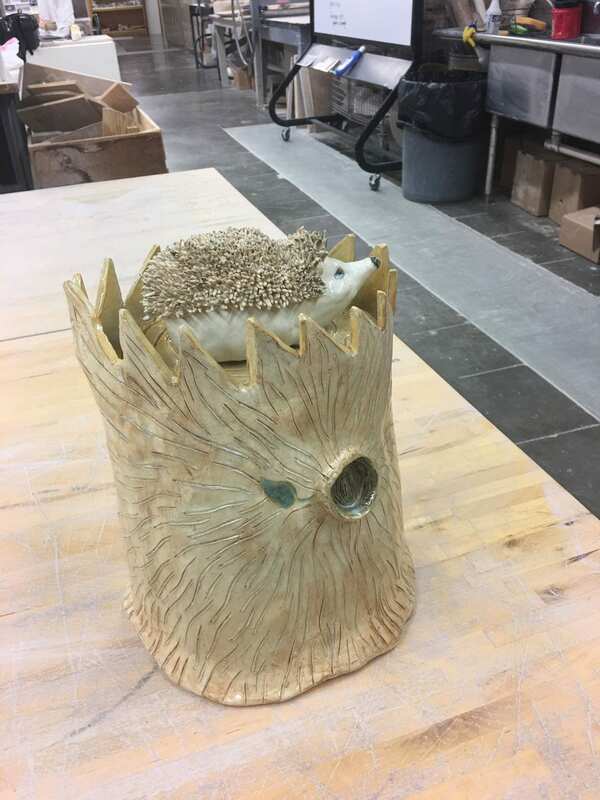 We invite you to come see the show for yourself and marvel at the amazing work students representing the departments Ceramics, Computer Art, Design, Drawing, Jewelry, Painting, Photography, and Printmaking. The show will run from March 27 to June 3, 2019 with the awards ceremony on April 11 from 5:30 to 6:30 pm in Tate Hall of Overcash Building. The reception will follow in Overcash lobby from 7:00 to 8:00 pm. 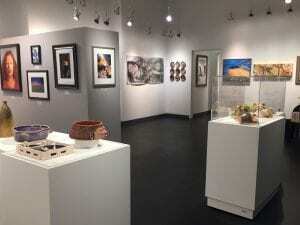 The Gallery is open to the public from 10:00 am to 2:00 pm Monday through Thursday. Hours extended through Sensoria during events. We hope all CPCC students are preparing their submissions for this year’s 2019 Annual Juried Student Art Show! Submissions reminder: drop off your USB or CD with images of your work, $5.00 for first 3 entries, cash or check only. Two additional entries for $5.00 each, 5 entries total for each artist, to Ross Gallery by Thursday, February 28th. 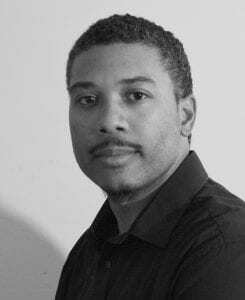 This year’s Juror is the talented professional artist and instructor, Bryan Wilson.